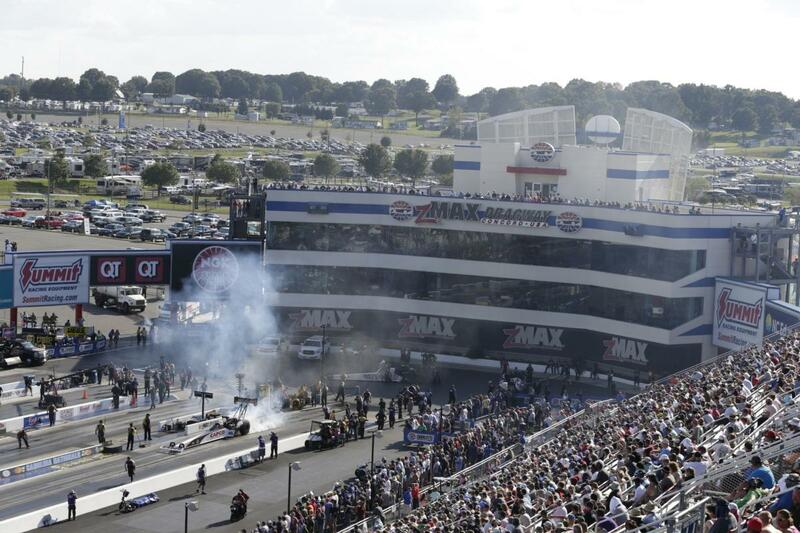 CONCORD, N.C. (Oct. 9, 2018) - zMAX Dragway, the Bellagio of drag strips, is geared up to host the 11th running of the NHRA Carolina Nationals this weekend. 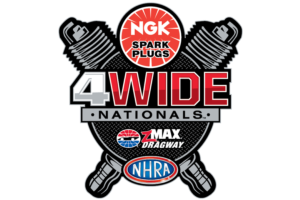 The fourth of six races in the NHRA's Countdown to the Championship offers a full-throttle spectacle of speed, with the top 10 drivers from Top Fuel, Funny Car, Pro Stock and Pro Stock Motorcycle battling for coveted championship points as the 2018 playoffs wind down. zMAX Dragway's three-day showcase of raw power and blistering speed is like nothing else in sports, and with cooler temperatures in this weekend's forecast, the table is set for record-breaking runs. The 10,000-horsepower machines will barrel down the dragway at speeds greater than 330 mph. First time at an NHRA event? Go to Nitro School, where some of the biggest names in NHRA drag racing help novices become nitro know-it-alls. Nitro School is an awesome, fan-based experience where fans can learn the ins and outs of what they're about to witness. In Nitro School, NHRA first-timers can will hear from drivers and other racing personalities about things like engine teardown as well as what it feels like to go from 0 to 330 mph in less than four seconds. Class is in session at 10:45 a.m. on Saturday morning in Nitro Alley. A new addition to this year's NHRA Carolina Nationals, fans can take a trip back in time with a display of historic hot rods raced by drag racing legends Don "The Snake" Prudhomme, Tom "The Mongoose" McEwen, Bruce Larson and Jerry Gwynn. Called "Nostalgia Corner," the display will sit under the zMAX Dragway pavilion, just inside the main gates. Keeping with the "throwback" theme, fans can also peruse a collection of classic street cars as part of a fan display in the pits. Nitro Alley is every fan's one-stop destination for all things entertainment. Grab the latest souvenirs, meander through dozens of interactive vendor displays or tour the sprawling, 27-acre pit area and get up close and personal with hundreds of high-powered race cars; it's the place to be. The best part: it is included with the purchase of any NHRA Carolina Nationals ticket. When fans here the newly added air raid siren, they'll want to get back to their seats, as that signals the start of Pro qualifying (Friday and Saturday) or the next round of eliminations (Sunday) are about to begin. Fans with a Sunday ticket to the NHRA Carolina Nationals will have a rare chance to join drivers and drag racing personalities for the Mello Yello Track Walk Sunday at 10:30 a.m. Just minutes before drivers take to the lanes for the opening round of eliminations, fans can walk the Bellagio of drag strip where history will be made and championship hopes for four lucky drivers will blossom later that afternoon. A new-look driver introduction called Race Day Review will provide a new twist to Sundays as some of the stars of the weekend hold a fan Q&A on the start line during driver introductions. For just $99, fans can upgrade their tickets to be a part of the Top Eliminator Club. The ultimate race day experience includes daily meal service, driver appearances, VIP gifts and more. Join fan Q&As and autograph sessions with drag racing superstars like John and Brittany Force, among others, throughout the weekend. Fans also receive access to a VIP rooftop viewing area, VIP parking and an exclusive Top Eliminator Club t-shirt. Campers from across the country will converge on zMAX Dragway for the NHRA Carolina Nationals, and they'll kick off the weekend with a fun and festive camper appreciation party on Thursday from 5-7 p.m. Located in the pavilion just inside Gate 1, the camper party will feature food, giveaways, yard games, show cars and driver appearances by Jack Beckman, Blake Alexander and Terry McMillen, as well as other motorsports personalities. With all there is to see and do throughout the weekend, fans are sure to work up an appetite, and zMAX Dragway has them covered with a bevy of unique and fun food options. Food trucks are all the rage, and what better way to fuel up between rounds than with a quick bite? Located just behind the John Force grandstands, new food trucks like Zaroob and Rays Philly Grill will serve up a little something for everyone, from kabobs and falafel to classic Philly cheese steaks and steak fries. Fans looking for something a little more upscale can swing by The Speedway Club, which is open for dinner Friday and Saturday nights from 5:30-9:30 p.m. It may be all about drag racing at zMAX Dragway, but at America's Home for Racing, visitors can also immerse themselves in all things NASCAR with a tour of the iconic Charlotte Motor Speedway. One- and two-hour options mean race fans can experience the famed speedway from pit road to Victory Lane, take laps on the high-banked corners or get a sneak peek of the Performance Racing Network studios. Tours are available daily on Friday and Saturday for as little as $12. Fans can book by calling 704-455-3223 or at the Tours Desk on the second floor of Smith Tower. Elimination Sunday is where contenders and pretenders are separated. The NHRA Carolina Nationals is the fourth race in the Countdown to the Championship, so drivers and teams have no room for error in their final push toward a championship. As the weekend comes to a close, the pressure will rise. Countdown contenders will be leaving it all on the line to walk away from zMAX with a win and a chance at a championship title at season's end. Fans won't want to miss a second of the high-speed, high-adrenaline drama. With a new race date, fun new attractions and new opportunities for great family fun, this year's NHRA Carolina Nationals promises to be one hot ticket. To be sure they've got a seat for the 2019 edition, fans are encouraged to renew their tickets on-site this weekend. Just $10 down reserves a seat for next year. On qualifying renewals, fans will have their choice of a free gift, including a tumbler, Bluetooth headset, waterproof speaker or other great gifts. Tickets can be renewed at booths near Gate 1 or Gate 2 throughout the weekend. Tickets, camping and upgrades for NHRA Carolina Nationals event are available at the gates, by visiting www.charlottemotorspeedway.com/tickets/ or calling 1-800-455-FANS (3267). Don't miss a minute of the action with three day packages, starting at just $99, and kids 13 and under get in free with an adult ticket purchase. Every ticket is also a pit pass, allowing fans to enjoy the speed as well as up-close views of the fastest accelerating machines on the planet.